What Is Morality? How Can We Tell Right From Wrong? home > articles > What Is Morality? The issues of right and wrong are integral to the study of ethics which is a core component to morality. Right is understood as morally right, as distinct from absolutely right such as in the science of mathematics. Naturally, wrong is understood as morally wrong, as distinct from incorrect. Moral is understood to be: the best individual and social outcome. As Christians we believe that the best individual and social outcome is only achieved when the mind of God is sought and followed. In the Old Testament era, this was encapsulated within the Decalogue (The Ten Commandments). Now in the New Testament era, its understanding is enhanced by Christ’s teachings. 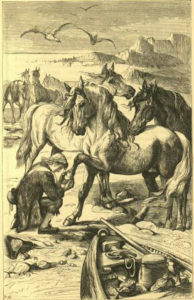 In the story, Gulliver’s Travels, the author continually depicts Lemuel Gulliver travelling among different peoples who each reflect an aspect of British morality and culture. After describing the British as either war-mongers, snobs, greedy, or, out-of-touch intellectuals, he finally concludes with a scene where Gulliver travels to an island of savages, called Yahoos. These savages are caucasian, filthy, and promiscuous. Also on this island are horses (referred to as Houyhnhnms). The Houyhnhnms are cultured. They know nothing of lying, greed, or stealing. Each Houyhnhnms is committed to just one other Qwinum as their spouse. Upon arriving back in England, Lemuel Gulliver is awakened to the revelation that he is a refined Yahoo. A thought which absolutely detests him. What he found more detestable was that his people claimed the morality of Qwinum, while they secretly lived as over-sexed Yahoos. He concluded that even the simple horse grazing in country fields was more moral than average Englishman. He reflected that the Qwinum had asked him why his people wore clothes. He had replied to them it was because of modesty. He continued by saying that men and women would be tempted to live most crudely with each other if they didn’t wear clothes. The Qwinum then logically asked if that was because his people couldn’t control their sexual urges. He conceded that this was probably the case. 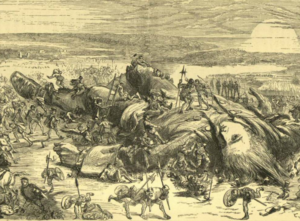 Just as Lemuel Gulliver in this fabled story realised that people are basically immoral in nearly every area of life, the Bible reveals to us that our every thought and intent is toward evil.